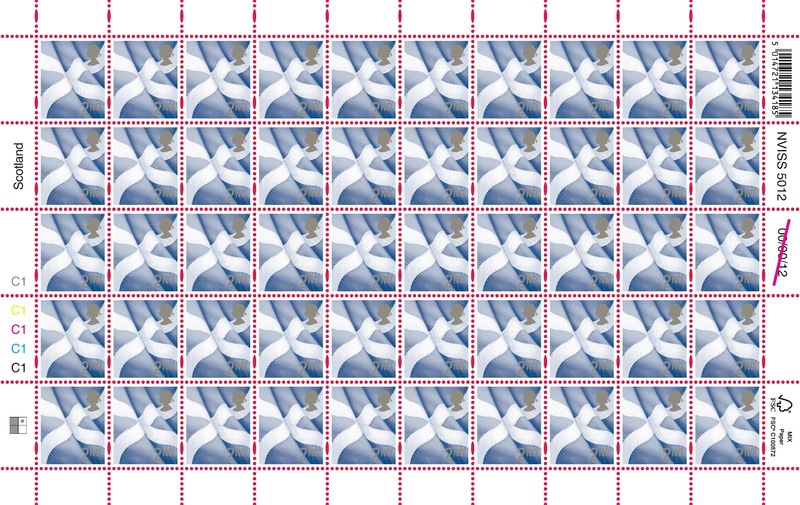 Royal Mail have announced that the printer for 1st and 2nd class Country Stamps is changing, starting this summer with the Scotland stamps. 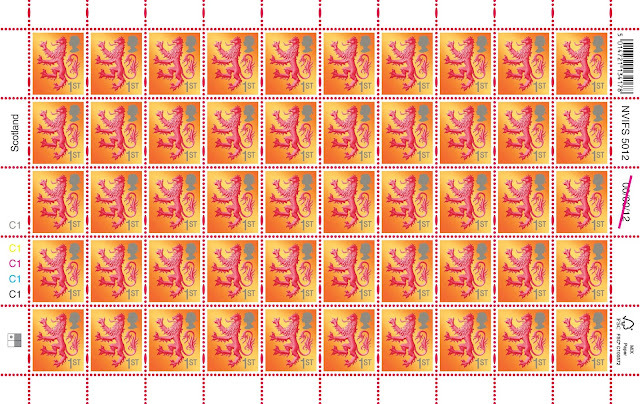 The stamps have been gravure printed by De La Rue in sheets of 200 since first being issued in 1999. In future they will be printed in litho by Cartor Security Printers, in sheets of 50. 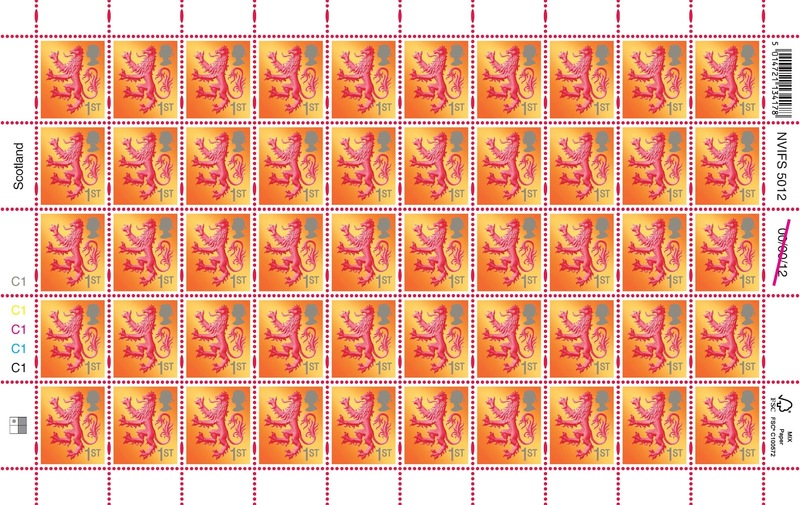 The new Scotland stamps will be issued on 27 June 2012 from Tallents House and philatelic offices, and will be distributed to other offices as needed to replenish existing stocks. The sheet grid alongside the final row suggests that these two values are printed on the same plate. As the stamps are essentially unchanged from a postal viewpoint we do not expect Royal Mail to produce first day covers or have any official first day postmarks. 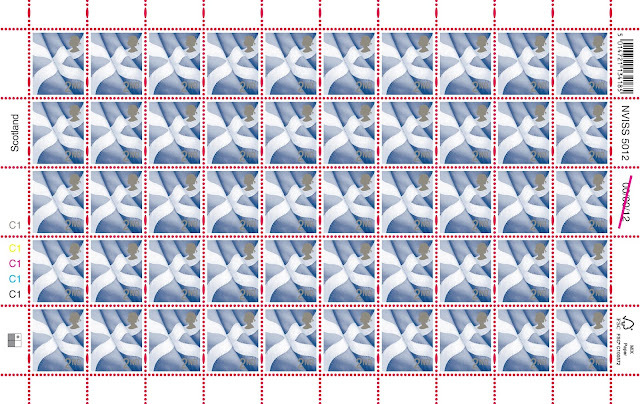 Operational postmarks and permanent philatelic postmarks will be available.